Give Dad a big frosty reward for all his hard work!  Evenly balanced, pale and light bodied, this classic Cream Ale is just what he needs to extinguish that powerful thirst after working up a serious sweat out in the yard. Evenly balanced with subtle hops and a pale malty base, this ale is has a light body with a creamy mouthfeel and crisp finish. The addition of honey offers a bit of dryness and subtle honey flavor to compliment the pale malts. Using the sanitized measuring cup, pour 4 cups of water into your clean 3-quart or larger pot. Bring water to a boil, add in the honey, then remove from heat. Open the can of Brewing Extract and the LME, and pour the contents into the hot mixture. Stir until thoroughly mixed. This mixture of unfermented beer is called wort. Put your keg in a location with a consistent temperature between 65° and 75° F (18.3°-23.6° C) and out of direct sunlight. After approximately 24 hours, you will be able to see the fermentation process happening by shining a flashlight into the keg. You'll see the yeast in action in the wort. The liquid will be opaque and milky, you will see bubbles rising in the liquid, and there will be bubbles on the surface.